"Preys off Problem Gamblers - Complicit with illegal activity"
Magik Slots is owned and operated by Alpha Interactive Solutions N.V., of Dr. M.J. Hugenholtzweg Z/N, UTS Gebouw, Curaçao © 2015and its wholly owned subsidiary, Ubiquin Limited of Voukourestiou, 25 NEPTUNE HOUSE, 1st floor, Flat/Office 11 3045, Limasol, Cyprus.Casino 6Black operates under Master License No. 1668/JAZ, granted by the Government of Curaçao. 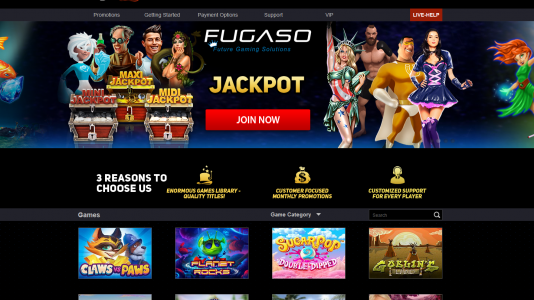 Magik Slots is “licensed” by the flaccid Master License No. 1668/JAZ, they might as well be licensed by a crack whore. Worthless – void of any protection for players. 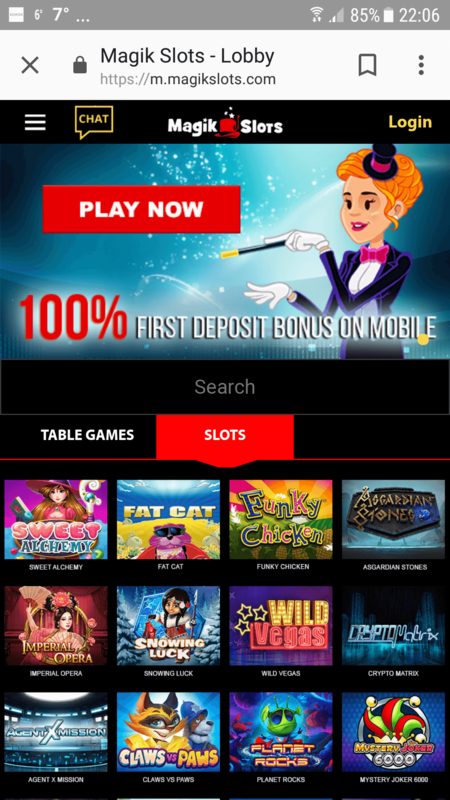 Granted, they may not accept UK bets, but they will refer you to Bronze Casino – virtually the same casino but with a different facade. 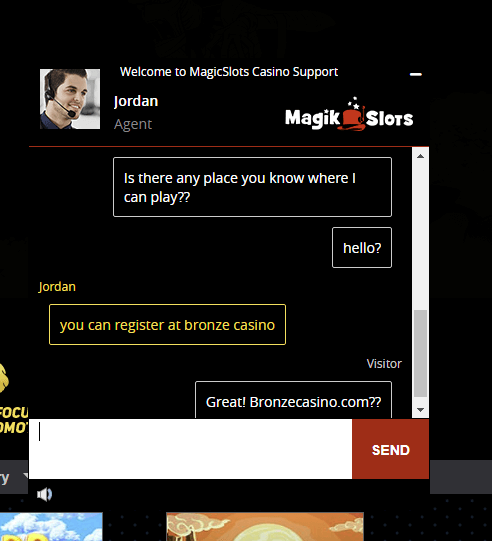 Here, my secret shopper claimed to be a player in the UK (he is), and was told to sign up at Bronzecasino.com. You ought to read the conversation that happened over there – they prey off of problem gamblers – just like their sister crap site 6black. This underscores the importance of playing at properly licensed casinos. These guys will fleece you. You have zilch protection – and you will regret playing there. This is clearly a casino to avoid. Connected to cheating software usage, offices in Tel Aviv (the new rogue enabling jurisdiction), “licensed” by the scandalous Master License No. 1668/JAZ of Curaçao. Nothing but crap here. Avoid this casino at all costs.